Matte High Performance from DreamScape is a premium new wallcovering base material, optimized for the highest level of consistency with modern inkjet printing systems. 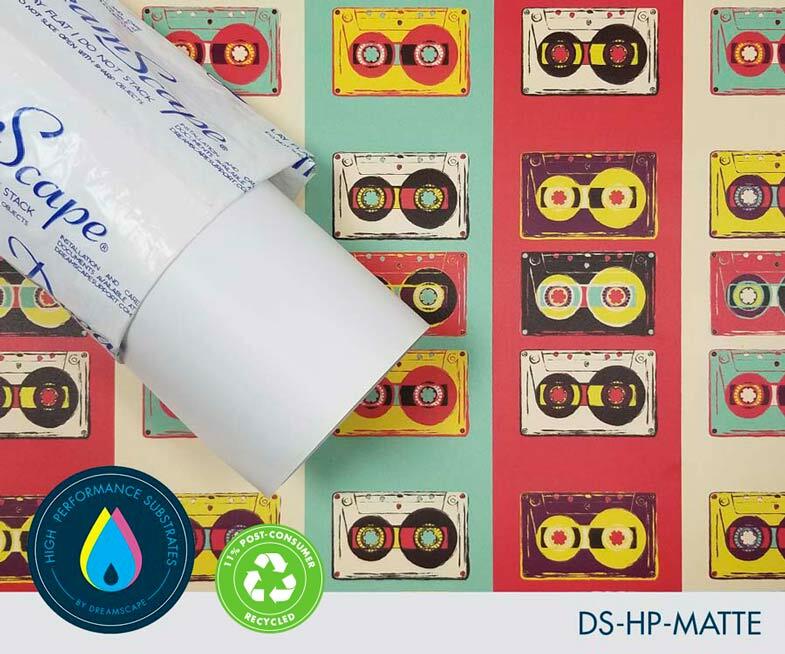 High Performance Matte offers premium performance at premium price above our original Matte product (most users will be satisfied with our original formulation, but if you are experiencing difficulty this High Performance version may provide you a more consistent printing experience). 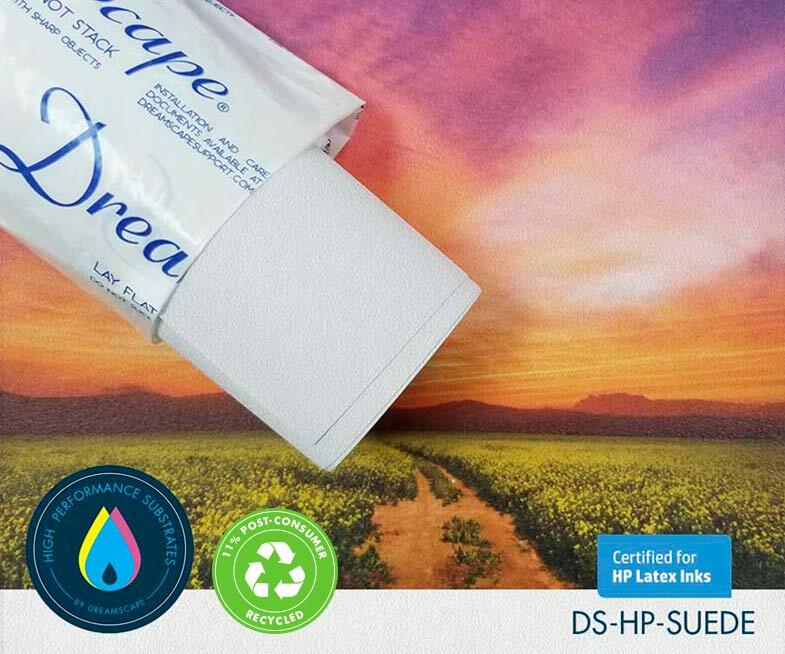 Enhanced temperature and mechanical stability means that Dreamscape vinyl will remain flat over a broad range of platen and media transport configurations. 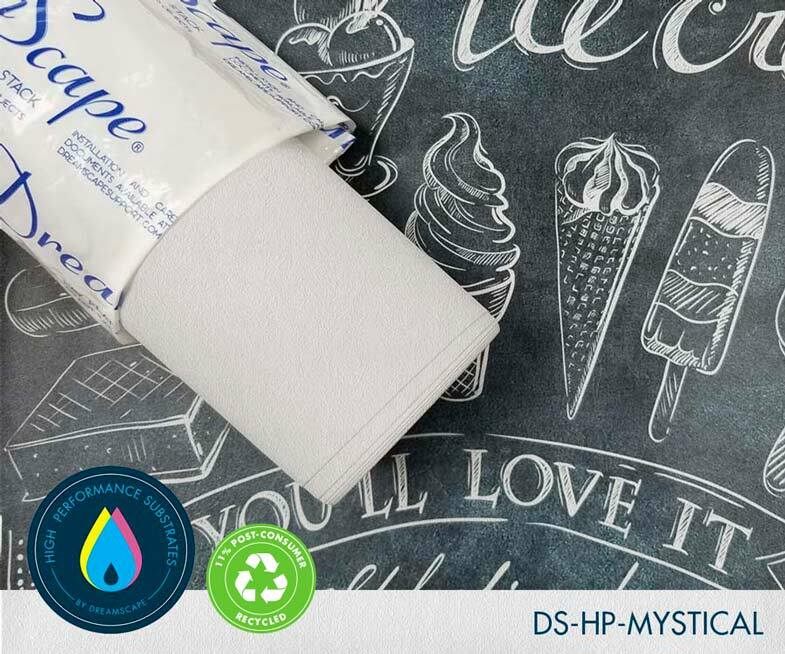 This results in more uniform printing with less worry about managing the delicate balance among temperature, tension, and vacuum to achieve print perfection. 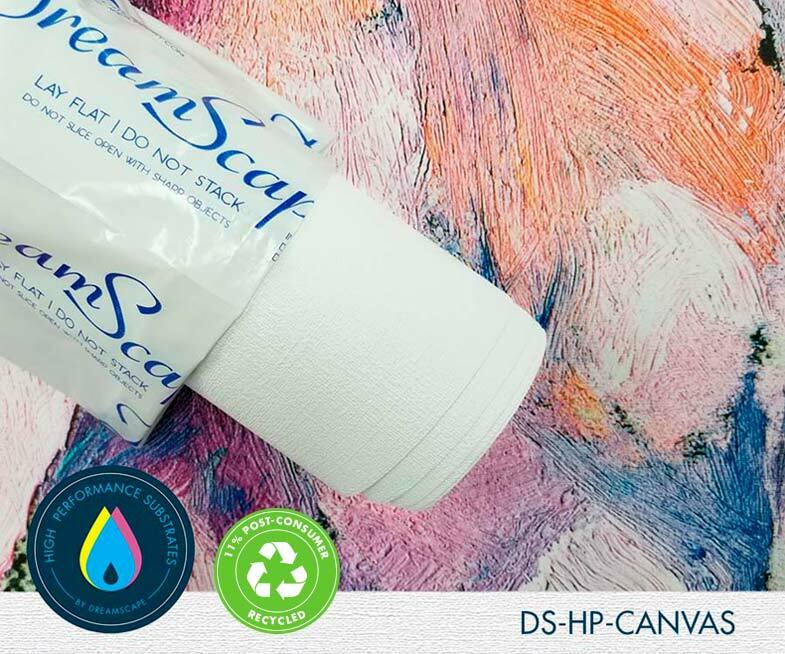 When combined with our advanced vinyl processing, the print result with Dreamscape HP is better uniformity in solid fill areas with better color saturation overall. 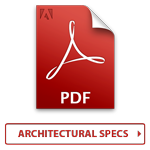 Commercial wallcovering grade material is a 2 ply product with a Matte embossing on the printable surface. This product carries Type II certification for scrubbability, tensile and tear (medium to heavy duty). This product is Class A fire rated and meets NFPA ratings for smoke development.